There’s nothing worse than facial cotton that “frizzes” and leaves fibers all over your face — but there’s a better way. Cotton pads and swabs from prestige brands and Japanese drugstores are leaps and bounds better than the stuff you can buy at CVS or Duane Reade. We’ve spied these puffs in the kits of the world’s top makeup artists and on the vanities of beauty insiders who know what’s up. Try them and you’ll never go back — but don’t say we didn’t warn you. These logo-stamped pads are made with three different cotton blends in the middle of the pad and high-grade silk on the front and back. They’re basically the softest thing you’ll ever use on your face. There’s a reason these pads have a cult following: they’re the perfect blend of fluffy, smooth and strong. These unbleached plush pads are an amazing bang for your buck, and their multiple layers allow you to separate each sheet to get even more mileage out of a pack. And not only is the packaging of these cotton buds cute, the tips stay fuzz-free. What’s the best part about these generously sized, silky pads? Their pretty lavender hue. The cotton on these diminutive wooden stick swabs from the Korean beauty brand is tightly wound, which means it won’t get fuzzy while you’re touching up your smoky eye. ...each one is embossed with the classic double C’s. The pads’ triple layer design, developed in Japan, features Egyptian cotton on the outer layers with elastic Australian fibers in the center. How’s that for luxe? Whether black or white, these Japanese brand swabs are display-worthy. Lots of cotton pads can be separated into layers when wet, but these are the only ones we’ve seen that divide neatly when dry, too. 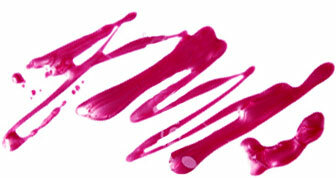 Skinny swabs are ideal for precision jobs, like touching up a liquid liner flick. Safety swabs, with their bulbous tip, help prevent a Hannah Horvath moment.